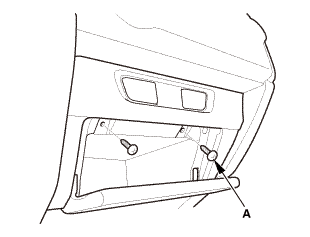 Remove the brackets (A) from the audio-navigation switch panel (B). Remove the audio-navigation unit (C). 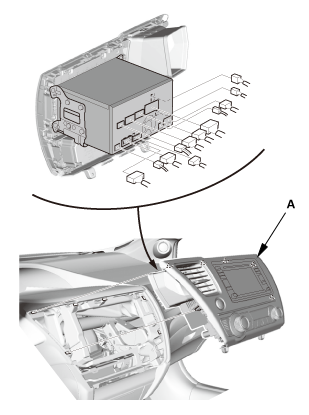 NOTE: If you are replacing the audio-navigation unit, remove the SD module. 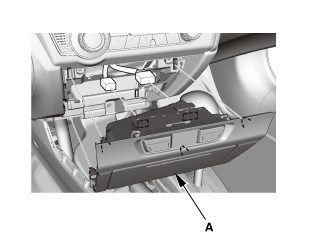 Install the audio-navigation unit (A) to the audio-navigation switch panel (B). 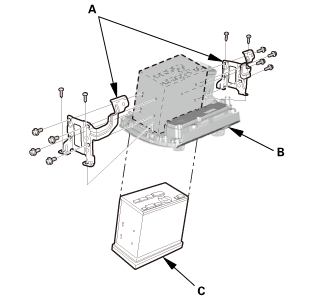 If you are replacing the audio-navigation unit, install the SD module. 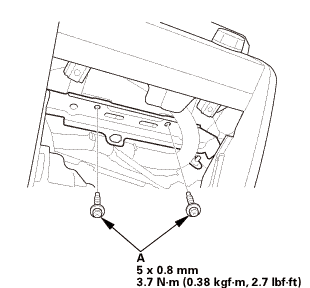 Check any official Honda service website for more service information about patches for the navigation system. 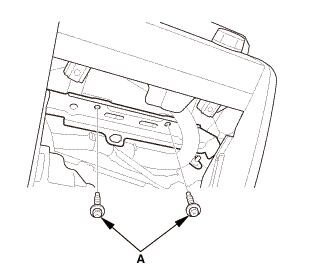 Apply any prescribed patches to the new audio-navigation unit. 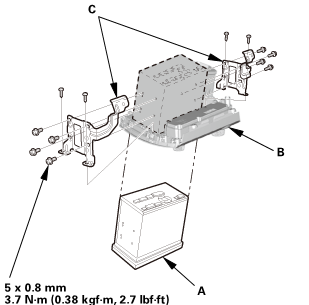 After installing the audio-navigation unit, park the vehicle outside, and do the GPS initialization.